Each year, the Galien Foundation hosts the Galien Forum where pressing issues are debated by leaders from industry, academia and government, and whose prestigious Prix Galien Awards encouraging and acknowledging innovation servicing the human condition have been analogized as the biomedical industry’s equivalent of the Nobel Prize. Highlights of the Fourth Galien Forum, scheduled to open on Tuesday, October 22, 2013 at the Alexandria Life Sciences Center in New York City, include a CEO Panel on the Affordable Care Act, with expert progress reports on personalized medicine, neurodegenerative disease and oncology research. The Galien Forum, conducted in conjunction with presentation of the Prix Galien Awards, features roundtable debates focusing on critical, global healthcare issues and challenges. This year’s program includes a panel of current industry CEOs tackling the impact of the Affordable Care Act on the biopharmaceutical industry: Ken Frazier (Merck), Alex Gorsky (Johnson & Johnson) and Dr. John Lechleiter (Eli Lilly & Company), moderated by P. Roy Vagelos, M.D. (Chairman of Regeneron Pharmaceuticals and retired Chairman and CEO at Merck). 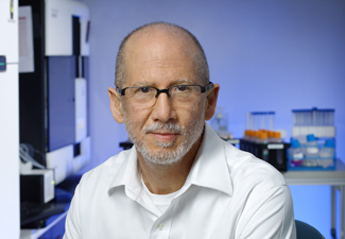 The Forum’s keynote session will be offered by Bert Vogelstein, M.D., Professor of Oncology and Pathology, Investigator, Howard Hughes Medical Institute; Director, Ludwig Center for Cancer Genetics & Therapeutics at Johns Hopkins School of Medicine. Long recognized as a “giant of science…whose work has been most influential over the past 20 years,” according to The Guardian, Dr. Vogelstein explores the genetic causes of cancer. Joel S. Marcus, Chairman, Alexandria and Neil de Crescenzo, General Manager, Oracle Health Sciences, long-time supporters of the Galien Foundation mission, will welcome participants. Dr. Michael S. Brown, Regental Professor and Paul J. Thomas Professor of Molecular Genetics and The W.A. (Monty) Moncrief Distinguished Chair in Cholesterol and Arteriosclerosis Research at the University of Texas Southwestern Medical Center in Dallas; Regental Professor; Director of the Jonsson Center for Molecular Genetics; and Co-Director of the UTSMC MD/PhD Program Molecular Genetics and Internal Medicine Graduate School of Biomedical Sciences. Dr. Brown received a BA degree in Chemistry in 1962 and an MD degree in 1966 from the University of Pennsylvania did his internship and residency at the Massachusetts General Hospital, and from 1968-1971 was a postdoctoral fellow at the National Institutes of Health serving initially as Clinical Associate in gastroenterology and hereditary disease, and subsequently joining the NIH Laboratory of Biochemistry headed by Dr. Earl R. Stadtman — a pioneer in the disclosure of the mechanisms by which enzymes are regulated. In 1971 Dr. Brown joined the division of Gastroenterology in the Department of Internal Medicine at the University of Texas Southwestern Medical School in Dallas , where he was mentored by Donald W. Seldin, Chairman of the Department of Internal Medicine, an inspirational figure whose passion for medical science is said to have shaped the lives of a generation of Texas students. Soon after his arrival in Dallas, Dr. Brown succeeded in solubilizing and partially purifying 3-hydroxy-3-methylglutaryl coenzyme A reductase, a previously enigmatic enzyme that catalyzes the rate-controlling enzyme in cholesterol biosynthesis. At UTSMC Dr. Brown and his friend and long-time colleague, Dr. Joseph L. Goldstein, a Southwestern Medical School graduate who had returned to Dallas from a postdoctoral fellowship in Seattle, began a formal scientific collaboration in 1972. They initially maintained separate laboratories, but in 1974 merged their research efforts, establishing the Brown/Goldstein Lab of the Department of Molecular Genetics at UTSMC in Dallas, where they together discovered the low density lipoprotein (LDL) receptor, which controls the level of cholesterol in blood and in cells. Drs. Brown and Goldstein showed that mutations in this receptor cause Familial Hypercholesterolemia, a disorder that leads to premature heart attacks in one out of every 500 people in most populations. They have received many awards for this work, including the U.S. National Medal of Science and the The Nobel Prize in Physiology or Medicine 1985. In 1974, Dr. Brown was appointed Associate Professor of Internal Medicine at the University of Texas Southwestern Medical School, where he became a Professor in 1976, and in 1977 was appointed Paul J. Thomas Professor of Medicine and Genetics, and Director of the Center for Genetic Disease at the medical school. In 1985, he was appointed Regental Professor of the University of Texas. Dr. Brown was also elected to membership in the National Academy of Sciences of the United States in 1980, and is a member of the American Academy of Arts and Sciences, the American Society for Clinical Investigation, the Association of American Physicians, the American Society of Biological Chemists, and the American Society for Cell Biology. He is a Diplomat of the American Board of Internal Medicine and a Fellow of the American College of Physicians. Dr. Christopher Austin, Director, National Center for Advancing Translational Sciences – National Institutes of Health. Dr. Robert M. Califf, Vice Chancellor for Clinical and Translational Medicine, Duke University. Dr. John Thomas Potts, Jr., Neuroendocrine Clinical Center, Harvard Medical Scholl. Dr. Michael Rosenblatt, Executive Vice President and Chief Medical Officer, Merck, who will serve as panel moderator. The Galien Foundation also disclosed on Tuesday that nomination submissions for the 2013 Prix Galien USA Awards are actively continuing, with final candidates to be announced shortly. The Prix Galien Awards, created in 1970 in honor of Galen, the father of medical science and modern pharmacology, represent the highest accolade for research and development. The awards committee is composed of highly distinguished individuals from the scientific and research communities. In addition to outstanding academic credentials, committee members have demonstrated expertise and understanding of human therapeutics, and are familiar with healthcare issues.